& that means it's time to show you what I've been making. This week has been full of ups and downs. Little Red was ill at the beginning of the week. This meant being up in the middle of the night. but it's easing slightly now. but it isn't quite finished yet. put a small post out. Wow what a fantastic feel good book! If you love tongue-in-cheek paranormal romances, you'll love this story. I loved the characters and how as the book progressed their lives intertwined. The main two characters Liam and Sadie have their issues. As the story progresses you can see and feel them changing. Each character that comes into the book has a different effect on them. The angel character was aloof in some ways but paid an integral part to the story. It was a book that had twists and turns but everything turned out brilliantly in the end and made you feel good! Is having a fantastic International giveaway! and what you've been reading or doing. other people have been making this week. 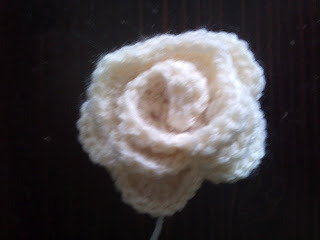 Why do I always think those roses are difficult to make? I'll have to check out that book. Thanks for the suggestion. I've found some of them really hard. I struggled with the Mollie makes ones. This pattern was the most straight forward I have found. hehe - it really is a good pattern. I put it on cause I feel guilty I haven't finished the UFO. Number one son has loads of things he wants adding to it. 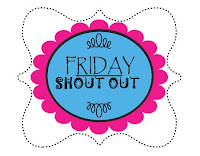 Hope you can stop in, say hi and follow me back. Thanks and have a blessed day. 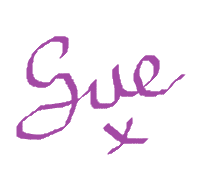 Welcome, I hope you enjoy the blog, following back. Love that little rose. I'm happy to find a crochet blog. If I don't get to email you today I'm sorry. The internet is playing up as they are making amendments ready for an upgrade. I'm also not very well so going to give up on the computer before I get mad. I hope you all have a fantastic weekend! So happy to find your site. I keep thinking that I will learn to crochet, and I'm thrilled to see that you share patterns. I love that rose! Thank you ever so much. Welcome. I learnt using you tube , I struggled with books and people trying to show me but it was so easy being able to pause & rewind to my speed. Love your rose, but I don't think I could every make one that looked that perfect! Lovely crocheted rose - looks quite realistic and sweet! Thank you ever so much, I loved following this pattern. Thank you, hope you have a good weekend! The little flowers are so cute. 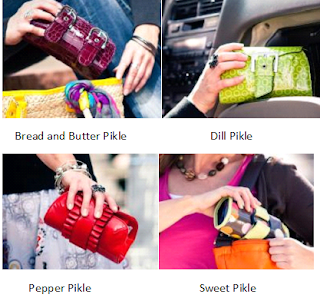 Thank you for the tip on the Pikle bags, those are great. 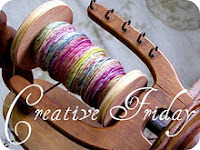 Happy Fiber Arts Friday!